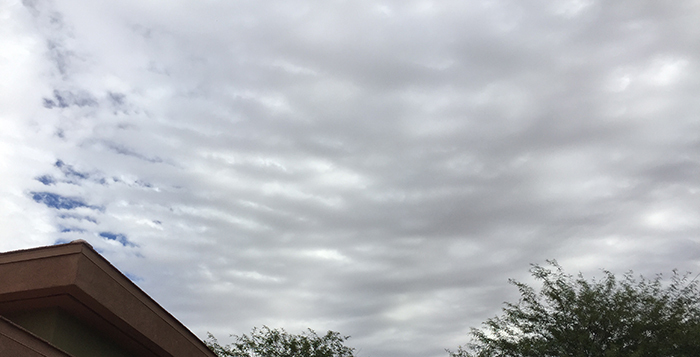 Maricopa residents can expect to see partly cloudy skies with temperatures in the mid 60s for Thanksgiving Day and the ensuing weekend. According to the National Weather Service, temperature highs are not expected to reach above the mid 60s all weekend. The cool days will result in overnight lows dipping into the high 30s as well. The Thanksgiving forecast calls for partly cloudy skies and a high of 67 degrees. The wind is projected to remain calm throughout the day, and the overnight low is expected to drop to 38 degrees. Clouds are likely throughout the day and evening, but no moisture is expected. Residents hoping to take advantage of Black Friday deals should bundle up before heading out. Coming off of a 38 degree night, Friday is expected to be partly cloudy with a high of 66 degrees. The overnight low is once again expected to drop to 38 degrees. According to the NWS, the sun is expected to break through more frequently on Saturday. The forecast calls for mostly clear skies with a high of 67 degrees. The wind is expected to remain calm near 5 mph, and the overnight low should drop to 40 degrees. Sunday is shaping up to be nearly identical to Saturday. Mostly sunny skies are expected, and the temperature should top out at 67 degrees. Wind should be a non-factor for the day, and the overnight low is expected to drop to 39 degrees. Next week should see a slow rise in temperature highs back to the 70s. More information will be available as the holiday weekend comes to a close.